A beautiful buckskin Morgan mare born in Montana, Stella is destined to become a star at ROSES. Many students say she reminds them of “Spirit” from the Disney movie of the same name. Stella moved to Vermont when she was just one. At four she moved to a broodmare farm in Pennsylvania. Although she never had a foal of her own, Stella’s gentle intelligence was apparent to the farm’s owner. If Stella wasn’t going to be a mom, she was going to need another kind of a job to keep her heart and mind engaged. At ROSES Stella is ready to teach students how to develop a truly light touch in their horsemanship and riding skills. Izzie came to Rose of Sharon the day Hurricane Isabel hit Baltimore! She is a Thoroughbred/Percheron-Shetland Pony cross. Her coat gleams like a new copper penny. What is lacking in her sparse little orange forelock is more than made up for in her abundantly gorgeous, long, thick, multi-colored tail. Izzie's personality is a wonderful mix of the strength of a lion and the gentleness of a lamb. She is responsible for guiding our most timid students through their lessons. Everything about Midnight is big! Big eyes, big feet, big personality! His coal black coat gleams with health. He has one white sock and let's not even get started on his white milk moustache! That white moustache graces the wiggliest horse muzzle ever! 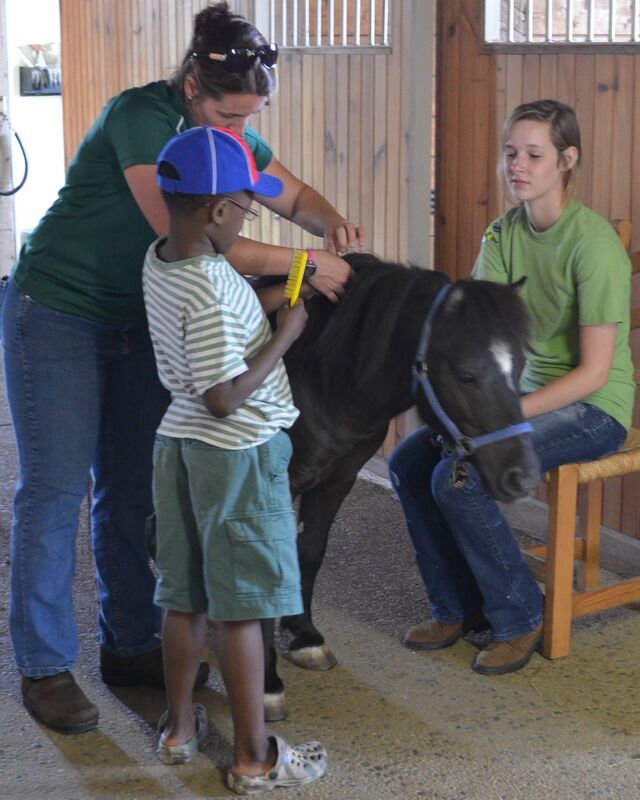 He uses that dexterous muzzle to let students know in no uncertain terms that the way they are brushing his neck feels great! This spunky mini's name is Ginger. Ginger is a Registered American Miniature Horse. 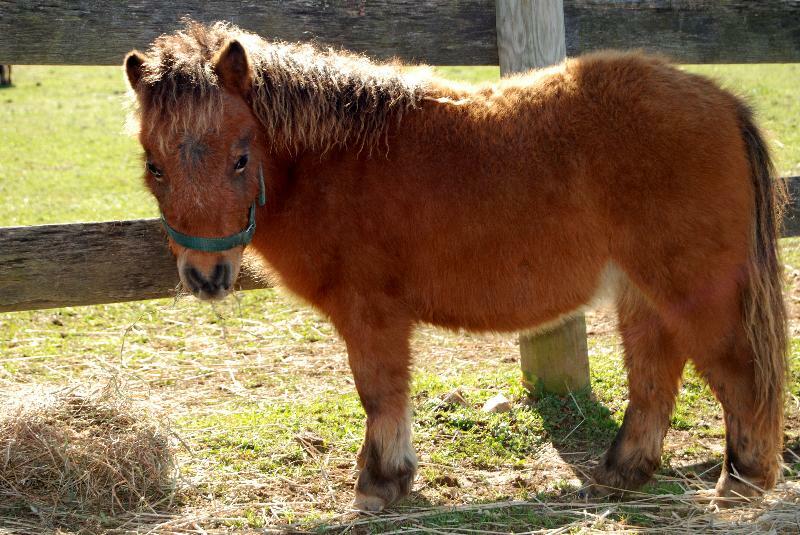 Ginger lived in Baltimore City for awhile, but the city just simply isn't the place for a horse, even a little tiny horse. A Thoroughbred retirement farm took this filly in until she found her forever home with ROSES! Cooper is a Registered American Miniature Horse. His name comes from the Celtic meaning “little dark one”. Cooper isn't ridden, but he is learning to pull a cart. Cooper has shown the depth of his tolerance while working with our preschool aged students who have autism and other social-emotional challenges. Cooper has allowed Ginger to be his next door stall-mate. This sensitive mini, has nothing but nice things to say about his "little sister". He sometimes even allows her to share his hay!